BECAUSE WHAT YOU PUT IN YOUR BODY MATTERS. A LOT. We admit we're obsessed with nutritional science and we're assuming you're here to see whether our lab-geek formulas can make a real difference in your health vs. typical vitamins you see every day. We're hoping this detail helps you decide. The calcium in our Healthy Bone Formula will be absorbed 300 - 500% more than basic big-bottle calcium because of the type, ingredient combinations and expensive chelating process we use. Actual absorption is your critical metric - otherwise you're excreting it and your body can't use it. 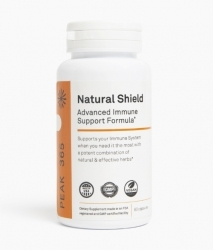 Our Peak365 Cold & Flu Formula contains nine ingredients proven to accelerate your immune system - far more effective than basic Vitamin C and Zinc (which we also include) in products like Airborne or Zicam. Because 92% of our customers call themselves quite health conscious and label readers, we're assuming you're already in tune with the concept that ingredients matter. A lot. With that in mind, you'll find 100+ additional specific examples in our detailed descriptions and label comparisons that show how different our products really are. We mean the best literally, not as a marketing phrase. 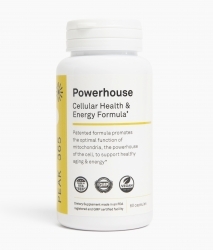 Each of our formulas delivers a complex set of ingredients aimed directly at improving targeted health issues. Lower cholesterol. 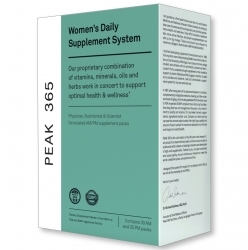 Improve bone density. Prevent or reduce the impact of a cold or flu. Support heart and brain health. And so on. Importantly, all of our ingredients are pharmaceutical grade and we manufacture solely in the USA in FDA, GMP certified facilities. We're lab geeks. And proud of it. Nutritional science lab geeks. After 30+ years dedicated to advanced science, we're fortunate to be considered a leading innovator and developer of high end supplements. We're also very proud that hundreds of thousands of people have taken millions of our supplement tablets to help improve their health. 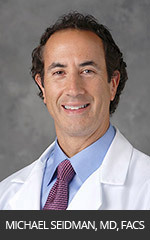 Our founder and chief science & medical officer, Michael Seidman, MD, FACS, holds seven U.S. patents and is rated in the top 3% of doctors nationwide. 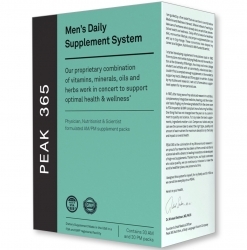 He lectures worldwide, including presentations to Congress, the FDA and advising the NFL, MLB and NHL on supplements. He is featured regularly in major media with nearly 200 appearances and articles in the last ten years, including Good Morning America, ABC, CBS, CNN, Wall Street Journal, NY Times, Men's Health and many others.